While Search Engine Optimization (SEO) is a complex and ever-changing topic thanks in large part to the evolution of search engine algorythyms, fortunately, there remains a number of fundamentals that consistently produce positive results. 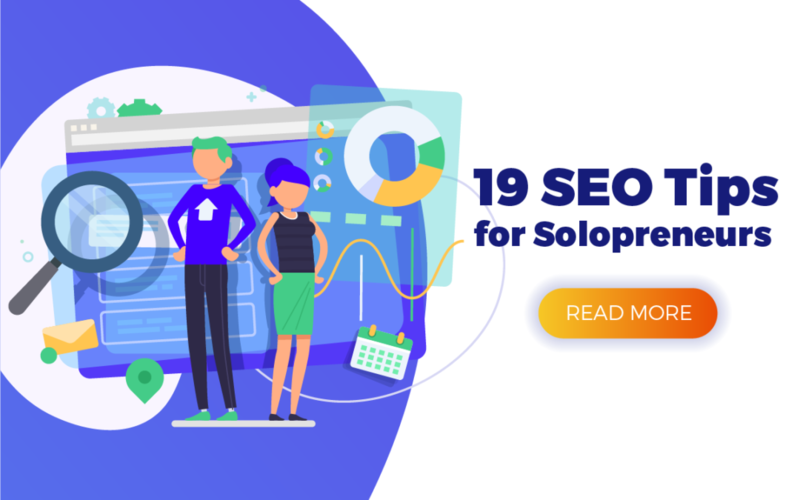 Here are a number of tips and tricks that you as a solopreneur or blogger can implement to ensure your content is getting the maximum visibility possible. First and foremost, it’s important to stress the need to focus on writing for humans. Everything that you do needs to be valuable and useful for real people. Make it interesting, helpful and shareworthy. But, once you’ve written an article that you know your audience will enjoy and appreciate, take time to make sure that search engines will appreciate it equally. That’s what the remainder of these SEO tips are designed to help you with. While it might be tempting to create content that attempts to speak to several groups or interests at the same time, you’re really better of focusing on a single, specific keyword phrase. This will also help you make your writing more concentrated on that topic, not wandering off onto other subjects. The Title of your blog post really needs to use the targeted keyword phrase. When displayed on your site, it should use the H1 HTML tag which signals to Google that the words in that tag are very important. Use no more than 60 characters in your title so it will display fully — otherwise, Google may truncate it. Break up your post into chunks or sections, and use the H2 tag to format those section headings. Each section heading is another opportunity to use your keyword phrase. I’ve done it here as an obvious example, trusting that you’ll be more creative in your approach. They follow in increasingly smaller size and importance. Your theme dictates how each different heading looks, including size, weight and spacing. Each blog post should use Heading 1 for the title, and that should be the only content tagged with H1. Therefore your main section headings should use the H2 tag, and any sub-sections could use H3 tags. You can use your targeted keyword within any text that’s using a heading tag; Google does understand the correct heading hierarchy, so H1 is deemed more important than H2, and so on. While this may sound obvious, it’s an area that’s easy to miss or overlook (or downright misunderstand). Your targeted keyword phrase needs to show up in the content of your article if you want it to rank well within search engines. Search Engines used to note how often a keyword appeared within content as compared to the total amount of text (keyword ratio), but that was easily manipulated and is no longer relevant. In fact, stuffing too many keywords into the content can hurt your ranking. Instead, simply make sure that your targeted keyword is the focus of your content and therefore easily worked into the text quite naturally. As you’re talking to your audience about your topic, you need to make sure that you aren’t just repeating your exact keyword phrase over and over. Include variations, whether it’s individual words, different ordering, plural or not… that way you’re adding variety to your writing. While you’re thinking about the variations of your keyword that you might use, be mindful of when you use “this” or “that” or other words that refer to your keyword without actually using it. Again, you want to be as natural as possible in your writing, but at the same time, you don’t want to miss out on opportunities when you should be using your keyword but instead kept saying, “this” or “that” or something else. While the Keywords meta tag is virtually ignored, the Title and Description tags are very important to search engines. So one great SEO tip is to not only use your keyword in the Title tag, but also use it in the Description. While it won’t help your content rank higher, using the keyword in a compelling description may help your content get a click from an interested searcher. I would be remiss if I didn’t mention how important it is to not just optimize your content, but to know what keywords are really worth optimizing for. While no tool can give exact volumes, they are incredibly powerful for identifying what topics and niches are most worth writing about, as well as uncovering frequently asked questions. 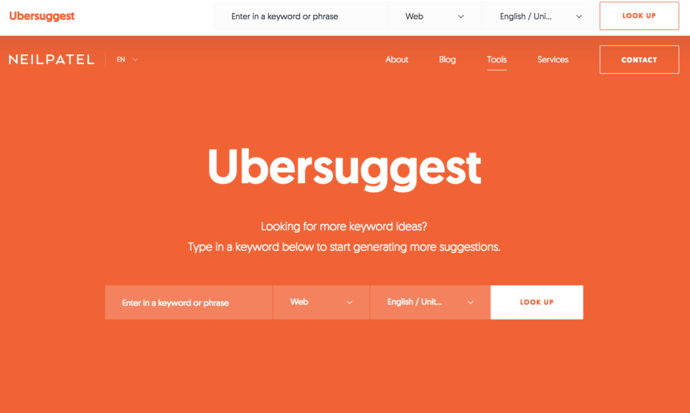 With the help of a good keyword research tool, you can look up and discover keywords that are actually being searched, and ensure that you’re writing about topics that your audience craves. One of the great recommendations when publishing blog posts is to add one or more images. The images help to improve the presentation of your content when shared to social, help communicate aspects of your topic, and help to break up long text posts. Each time you use an image, the image’s filename should use your target keyword phrase. Spend a few minutes to craft great ALT and TITLE tags for that image that also include your keyword. Similar to Image Tags, whenever you add a link to your content, you can specify a Title tag for that link which is what a reader sees if they mouse over that link. This anchor text represents additional opportunities to optimize your post for search engines by using that target keyword where it makes sense. Do make sure that you aren’t just using the keyword for the sake of using it. It has to relate to the linked content in some way. More on this point in a moment. Most blogs, particularly on WordPress, use categories and tags to connect related pieces of content. In fact, as we discussed recently, your blog should be organized into a very set number of categories (4 – 6), but yet can have quite a few tags. That means that if it makes sense to do so, you can tag your post with your targeted keyword phrase. And if you have multiple posts that phrase applies to, they’ll get linked using that same phrase. While the links themselves likely add little in terms of SEO value, the fact is, it’s another instance of your target keyword which is also a link, so therefore weighed somewhat more than plain text. Remember what I said about targeting just one keyword? One of the tricks people used to do was to not only try to target a bunch of keywords, but to “stuff” them into the post by adding them to places like those image tags I just mentioned. That’s a clear signal to Google not to rank your content. Use one keyword and for things like descriptions and other tags, use it in a meaningful sentence so that it makes sense to humans. Back in the good old says where SEO spam was the name of the game, another common trick was to add a bunch of keywords to the bottom of a page and then change the text color to white so that they “disappeared” to humans. But search engines quickly caught on to that and were eager to blacklist such practitioners. Don’t hide keywords or attempt anything that’s designed to “beat” Google. It won’t work, and it’ll likely backfire on you. In fact, all of these SEO tips should be viewed in that light. These suggestions aren’t intended to defeat Google, but rather, to help Google correctly understand the focus and intent of your content. Nothing more. SEO isn’t intended to defeat Google, rather, to help Google correctly understand the focus of our content. If the keyword isn’t related to the topic of the article, if there’s no contextual relationship, don’t try to force it. While it may be tempting to see old content that’s performing well and try to add other keywords to it, it won’t work. Instead, create new content that is focused on the topic at hand. And as we mentioned before, make everything read and flow as naturally as possible. Make all of your tags and descriptions appropriate and accurate, and only use that targeted keyword if it actually makes sense. Throughout your content, make sure that you’re inserting useful links to related pages and blog posts that you’ve written. Your readers will appreciate the additional avenues of information, and search engines will appreciate the additional context. When creating those internal links though, use identifying text as your anchor text, as it will occur more naturally. Anchor text is simply whatever text is linked and clickable. Once you’ve published a post, it’s important to make sure that your readers (and search engines) have multiple avenues through which to get to that post. This involves going back to old blog posts and pages that are related and inserting new links to the new post. I refer to this as forwardlinking. Always try to include at least one link to an external website for more information or as a resource. Again, this is an area where the SBI! for WP plugin can help, as it will give you 100 external sites related to your targeted keyword phrase. It should be easy to find one that’s not a competitor and that provides valuable, additional information. Ideally, the text that you use to link to that external site should use your targeted keyword phrase. For instance, at the beginning of the post, I might have included a link to “What is Search Engine Optimization (SEO)?” as a reference point for those just getting started in learning about SEO. While social signals (likes, +1’s, etc.) do not have a direct correlation to search engine ranking, they do have an indirect correlation. That’s because content that receives high amounts of social signals is by definition being shared and engaging. That leads to referral traffic and interaction, which do have a direct correlation to search engine ranking. It boils down to making your blog posts highly shareable, with great social sharing buttons, and working on developing an active and engaging social media presence, on whichever platforms best suit your business and target audience. If you follow those search engine optimization tips, you’ll have a far greater chance of successfully ranking with search engines, as long as you’re optimizing your posts for the best possible keywords. Mike is an award-winning blogger, speaker, and author at The Social Media Hat. This article originally appeared on the Sitesell blog and has been reposed here with attribution in recognition of the authors. Please note that some opinions expressed in this article may be those of a guest author and not necessarily those of either RebelZoom.com. From time to time, we may lightly edit content to better suit our readers’ interests or where it content is not in alignment with our approach or philosophy.